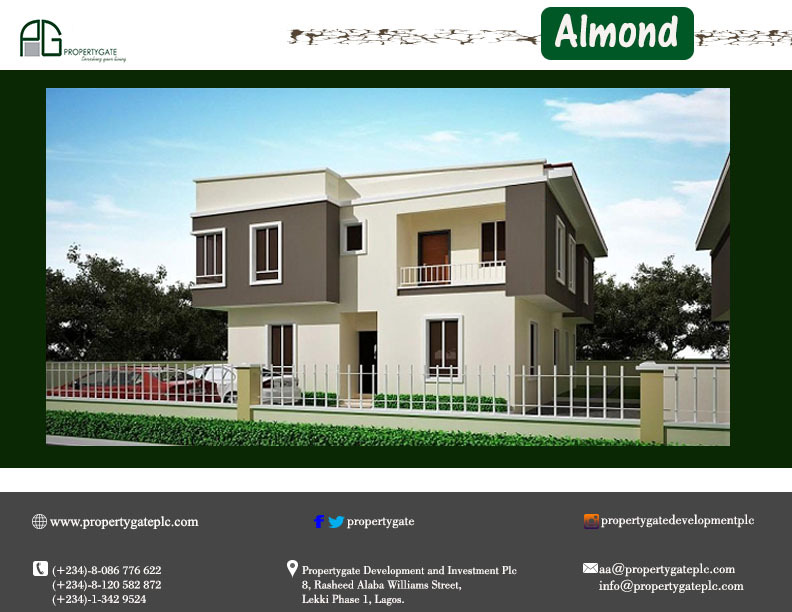 Conceptualized and fashioned in delightful grandeur, Almond presents an exquisite definition of quality, functionality and delight. Its fine demeanor presents an irresistible invitation to investors and occupiers alike. 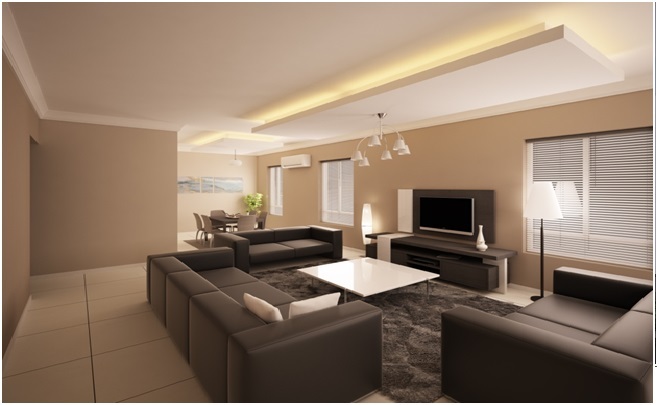 Situate at Peace Garden, a premium gated and serviced residential scheme along Lekki-Epe Expressway. Peace Garden was developed by Chevron Cooperative. It shares boundary with Crown Estate on the left, Emperor Estate on the right and Diamond Estate at the rear. 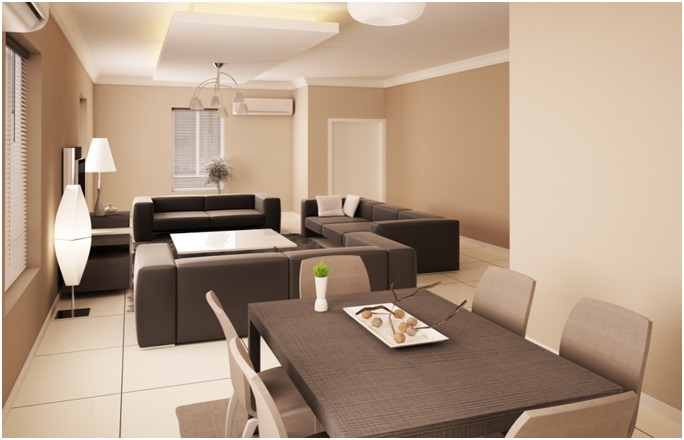 The Estate is about 3 minutes walking distance to Novare Mall, the biggest mall in Lagos, hosting Shoprite, Games etc. 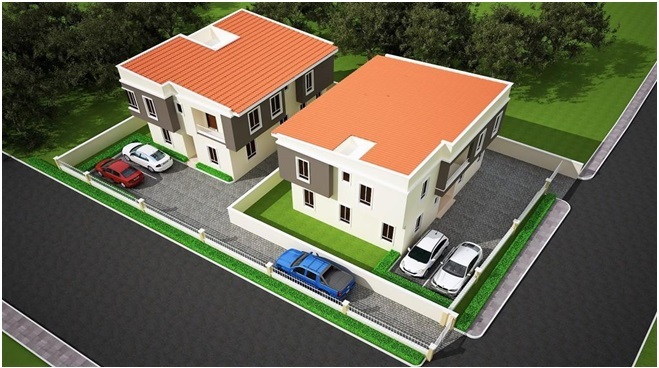 and has close proximity Schools, Hospitals, Lagos Business School and other places of interest. Borehole, water treatment plants etc (Mini water works). Paved roads in asphalt finishing, covered drainage and walk ways. 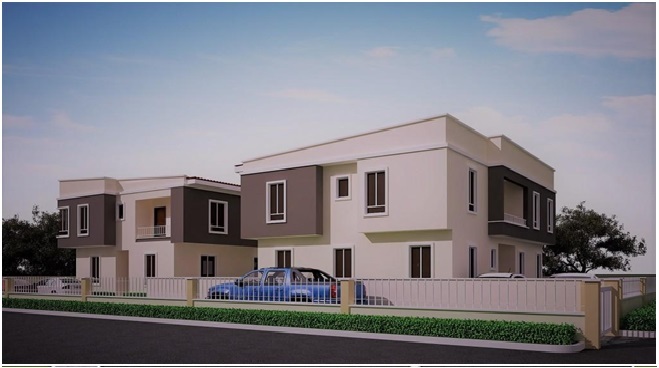 Fully detached beautiful 4 Bedrooms duplex. 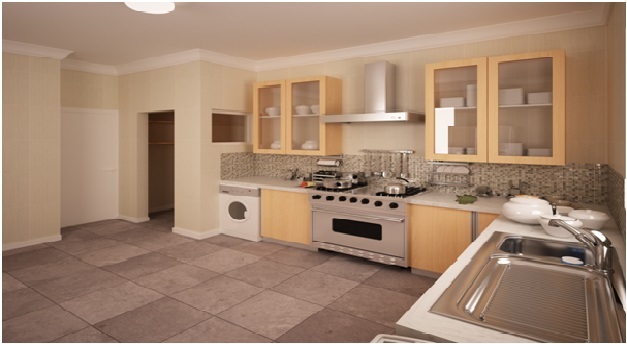 Designed with emphasis on functionality, quality and comfort to make living a delightful experience. 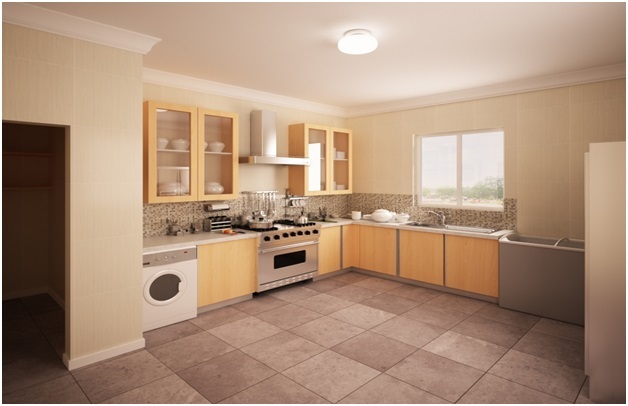 At the heart of the development concept is our resolve to give superior value to our buyers. 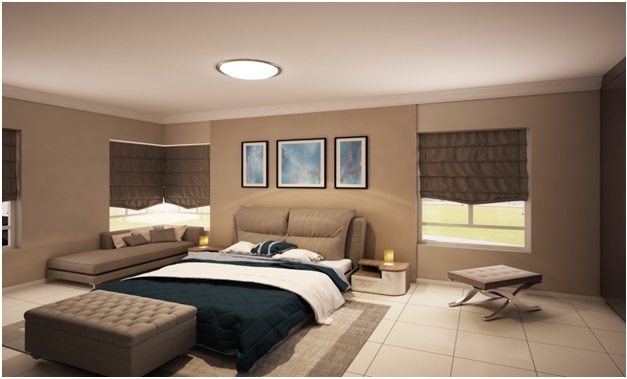 • 4 En suite Bedrooms (guest room on ground floor & other 3 bedrooms on 1st floor), plus en suite maid’s room on the ground floor. • Main living and dining room, kitchen/store, and visitor’s toilet on the ground floor; while family living and frontage terrace are on the 1st floor. • Finished in quality materials and fittings. • Exclusive compound and light landscape. Potential capital appreciation at completion of the development and further future capital appreciation. Projected completion date – June 2019. Inasmuch as the designs and building details in this brochure are intended to be representative of the end-product of the houses, the developer reserves the right to make modifications, amendments, revisions, and changes it deems necessary in its sole and absolute discretion. The furnishings are merely for illustrative purpose only, as the units are finished, but not furnished. This document including its covering and attached documents do not constitute or intend to constitute an offer or contract between Propertygate and the recipient/s.